Explore all the different products that will help your students improve their reading skills! After your purchase is finalized, you will receive an email asking you for additional information to generate the account(s). 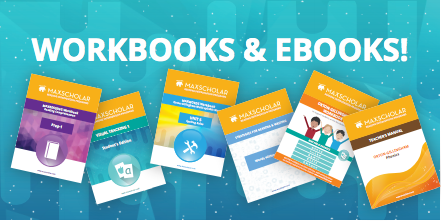 MaxScholar is licensed on an annual subscription basis and can be purchased for individual students, classes, or schools. We offer affordable licensing options for schools and district-wide use, giving your students and staff unlimited, password-protected access to the program. We also have discounted multi-year and multi-series packages. EACH LICENSE IS VALID FOR ONE USER FOR A PERIOD OF TWELVE MONTHS. WE TRAIN TEACHERS IN THE ORTON-GILLINGHAM AND LINDAMOOD BELL METHODS TO ENSURE THE BEST RESULTS FOR STUDENTS, AND ALSO PROVIDE TEACHERS WITH AN EXTREMELY IMPORTANT AND USEFUL PROFESSIONAL TOOL!